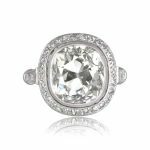 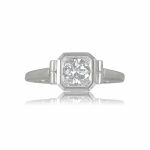 An authentic vintage engagement ring that features a lively 1.30-carat old European cut diamond, J color and SI1 clarity. 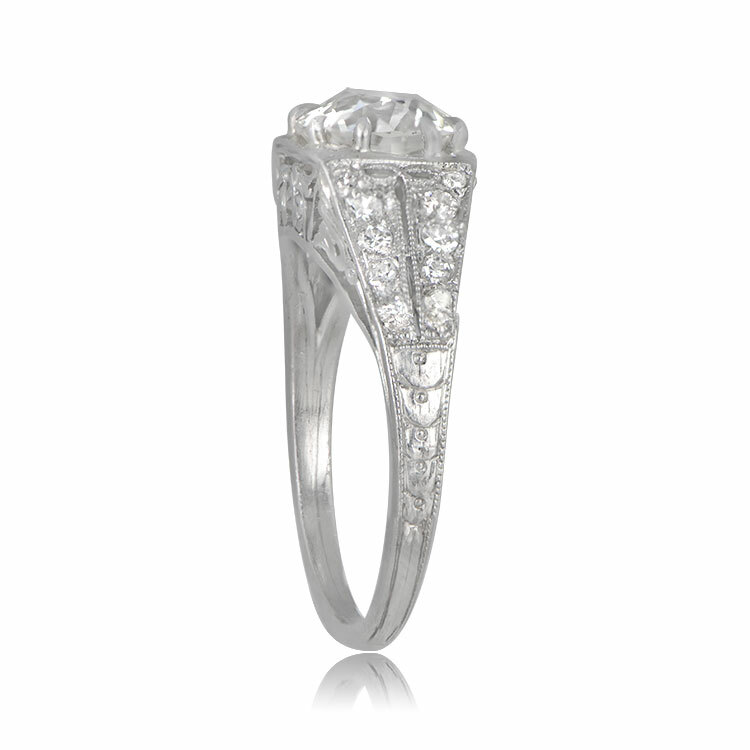 The shoulders feature two graduating rows with a total approximate weight of 0.18 carats. 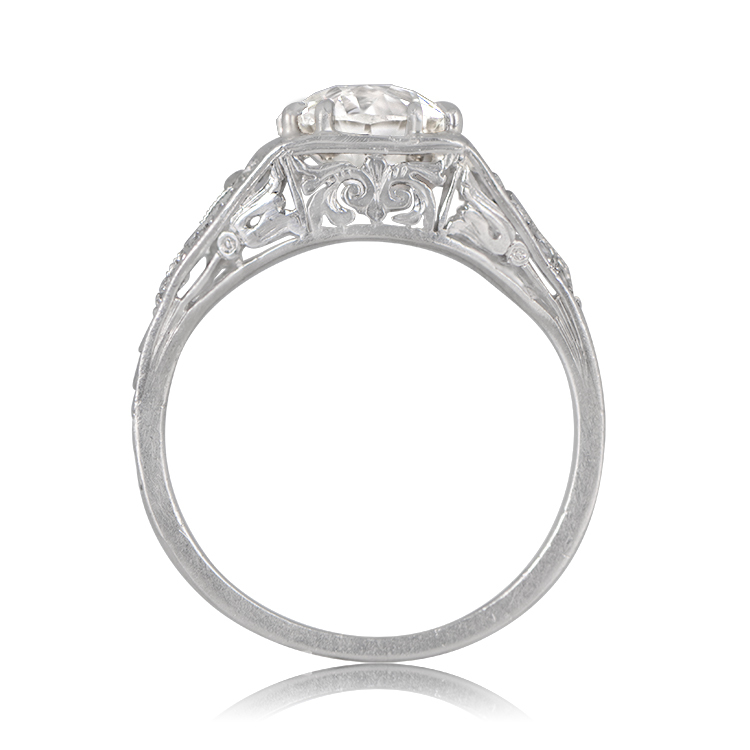 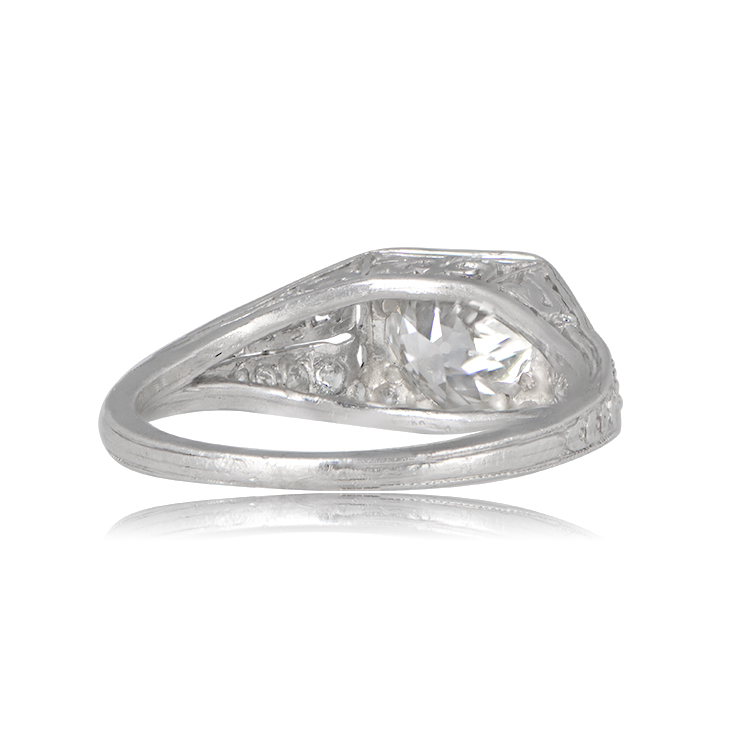 This ring is platinum and has beautiful hand-engravings along the shank, Art Deco circa 1925. 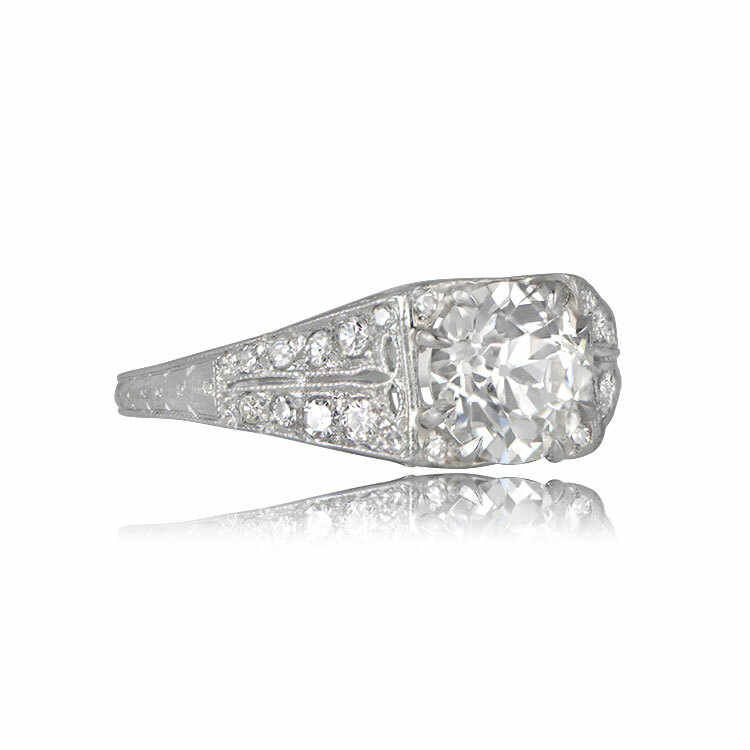 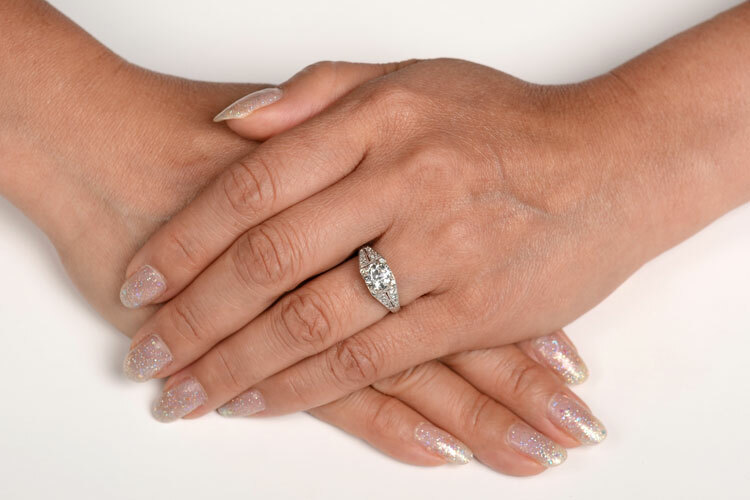 The total approximate diamond weight of this ring is 1.50 carats. 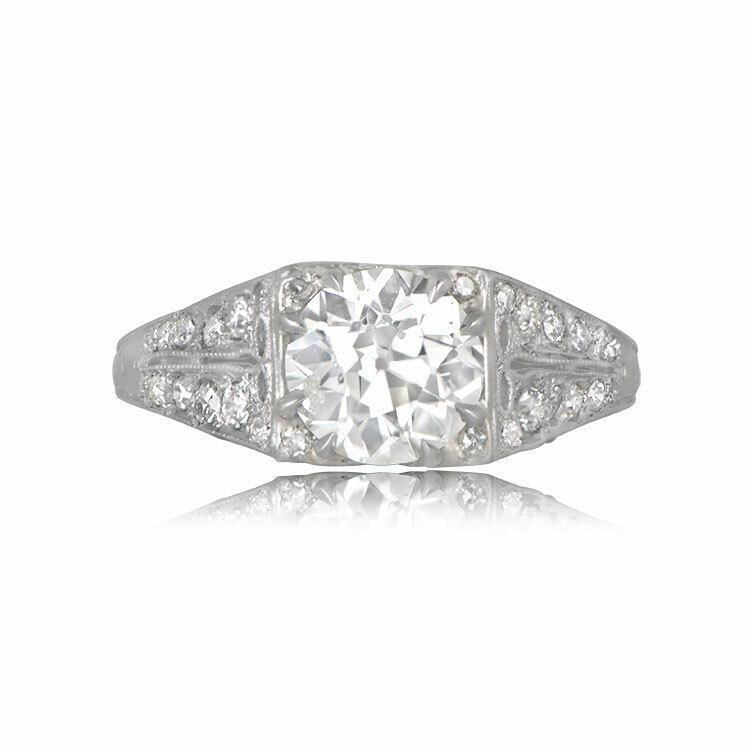 SKU: 12121 Category: Vintage Engagement Rings - Contact us and request additional pictures.